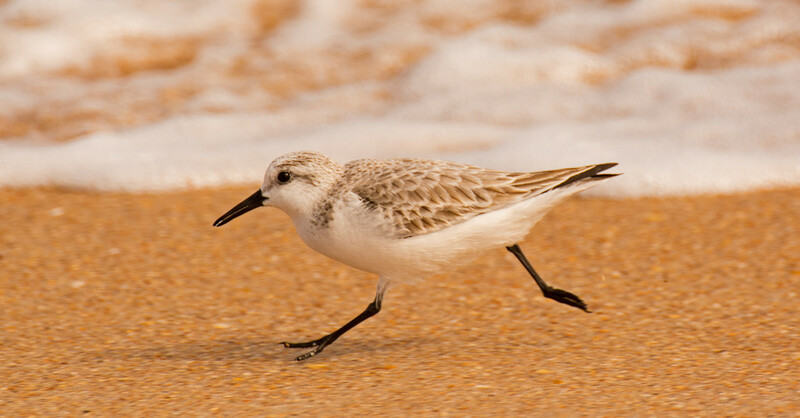 Sandpiper Running From the Waves! Caught this fellow as it was running along the waters edge, trying to stay dry. Fun watching them dodge the waves as they come pouring in up on the beach. Fabulous capture and lovely tones, fav! I love how you have caught this sandpiper in motion. @milaniet @nearlyincontrol @ludwigsdiana @aglennc @dkbarnett @amyk thanks everyone, really appreciate all of your comments, view's and fav's.